Who are the grants for? - This grant funding is only available to truck brigades that have a total annual income of less than $5,000. Rural Fire Brigades with a firefighting appliance (“truck”), and with an income not exceeding $5,000. This segment is often overlooked yet comprises almost half of the total number of truck brigades – RFSQ estimates that up to 348 brigades fall into this category. What are the grants for? 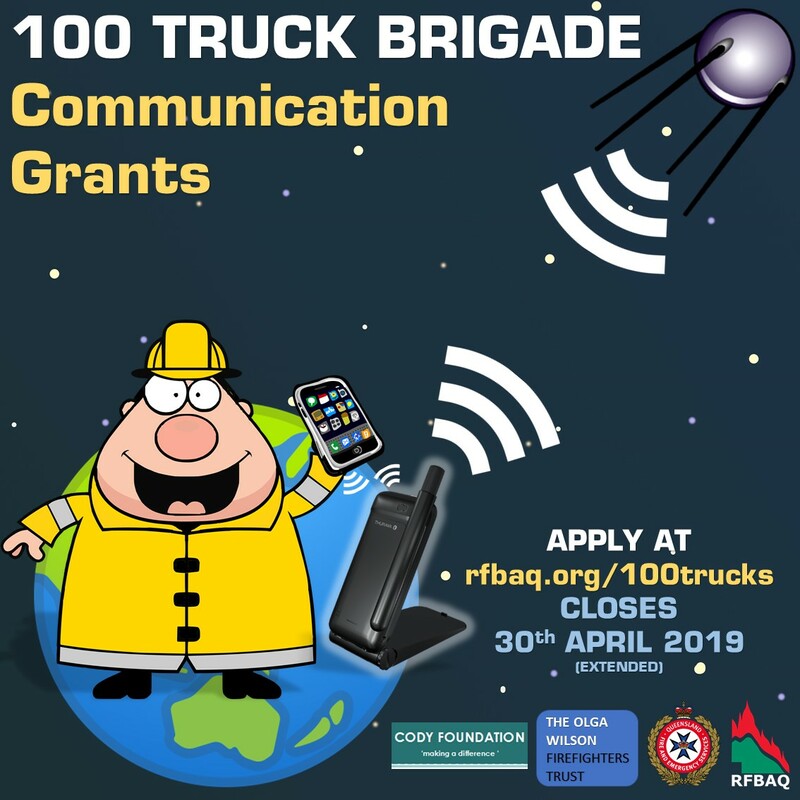 - The grants are for the supply of a Thuraya SatSleeve Hotspot device to 100 Rural Fire Brigades. The SatSleeve Hotspot is a satellite unit and WIFI hotspot that requires connection to any modern smart phone running iOS or Android. The device enables anyone with a smart phone to make and receive voice calls, SMS, email and app access when outside of mobile coverage areas. Why? – identified need - Consultation with brigades across Queensland has identified difficulties with communications, particularly amongst brigades with an appliance but who do not receive significant funding. The correlation comes from a lack of population density that which generally denotes a remote location and irregular communication platforms. Reliable communications are critical to all emergency services, no matter the scenario. It ensures timely responses, vital updates, and contributes directly to the safety of brigade members and the local community. When will successful brigades receive the SatSleeve Hotspot? – As soon as practicable after the grants are approved. Who decides on successful brigade applications? – Deputy Commissioner Emergency Service Volunteers Mike Wassing, RFBAQ President Ian Pike AFSM and RFBAQ General Manager Justin Choveaux. Where is the money coming from? – The RFBAQ initiative is joint funded by 4 separate organisations totalling $100,000. Who picks up the ongoing $15 monthly connection fee and call costs? – The QFES will support the brigades by covering these ongoing costs. It would be unreasonable to identify a need for brigades with a small or non-existent funding base and then burden them with an ongoing expense. Are you a truck brigade that has an income of $5,000 yet has good communication coverage? – Please complete the application with your brigade information and tick the information only box. This you then forward to your RFSQ Area Office who will write a detailed outline of your brigade, the community it serves and the risks and opportunities available. Your RFSQ Area Office will then send this information to be collated with all the other applications. There will be a number of outcomes from this grant process; we will buy some much needed equipment for brigades with an identified need and; we will learn more about this segment of Rural Fire. As with the very successful QFES / RFBAQ PPB Community Defence Grants, we bought a lot of much needed equipment from local suppliers and we also learnt about identified needs that has translated in to the PPB Co-Op Funding Trial in Blackall / Tambo Regional Council Area rfbaq.org/coopfundingtrial and the investigation of rfbaq.org/rc1staid. For a break-down of the of the learnings rfbaq.org/yearofppb.